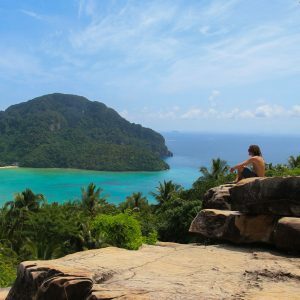 How Do You Meet People When Travelling Solo? Now this is something I take for granted these days – I’ve been on the road for over 5 years so it’s not something that really comes into my mind set when heading to a new place. But I totally get your concerns – the world is a big place, you’re leaving behind the safety of your home, family and friends and even if you don’t feel nervous now the chances are you’re probably going to be sh*t scared in the airport or on the plane when it all sinks in! Find Some Travel Buddies Before You Leave! Don’t Be Afraid To Chat To People! You Never Really Travel Solo! So how do you meet people when travelling solo? How do you find those life long travel buddies and partners in crime? 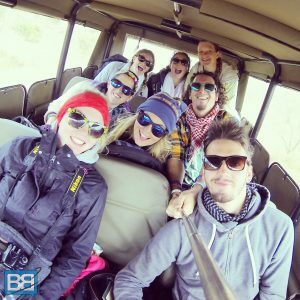 I’ve made some incredible friends on the road so here’s a few handy tips to help you turn your solo adventure into one filled with awesome places and faces! It might sound totally against the whole travelling solo thing but you can easily locate some travel buddies before you even step foot in a new country! 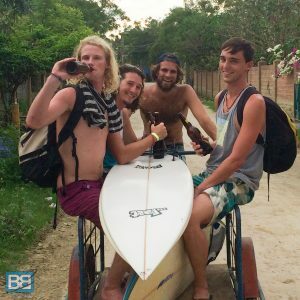 Sites like GapYear.com have some amazing community boards where you can network with travellers heading out to countries on your to do list at the same time. A lot of these groups also hold meet ups where you can mingle and create some new travel plans. In fact that’s exactly what I did when I headed to Australia for the first time in 2009. I joined a thread, headed to a meet up with about 40 other people and made some epic new buddies. In fact I changed my Aussie plans and joined 7 of them on an epic campervan adventure from Perth to Darwin before meeting up with a huge crew of them in Sydney for new year! 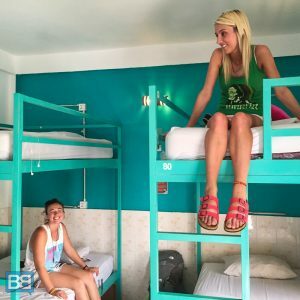 One of the simplest ways to meet other people when travelling is to stay in hostels and dorm rooms – that way you’re immediately thrown into the mix with a bunch of random people! Okay so you’re not going to get on with everyone, but at least you have some room mates you can pre drink with and ask for some help from. And this leads me to the next and VERY important point – chat to people! It might seem stupid but if you’re not engaging with people you’re not going to meet anyone. It’s pretty simple! At the end of the day everyone is travelling so you have some common ground to open up the conversation with – where are you heading tonight? Where have you travelled? What are you plans” – simple questions that can break the ice and help you meet some new buddies! Once you’ve got your travel confidence up don’t forget to help out your fellow travellers too – if someone new books into your room open up the conversation and help settle them in, good travel karma all round! 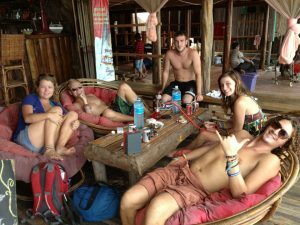 Bars and backpackers go hand in hand and they’re also a great place to meet people. No I don’t mean someone to hook up with (although lets face it they’re good for that too!) but they’re good hubs for finding some new faces to chat to. Get stuck in, play some drinking games and see where it leads! If you’re really nervous about heading somewhere new then booking yourself into a day trip or intro tour is a sure way to mix with some other travellers – many of which are probably doing it for the same reason too! Trips like OzIntro, Welcome To Travel: Melbourne or the Full Moon Party Tour with Tru Travels are great options – short enough not to smash your budget or stop you being flexible with where you go but long enough to make some firm buddies and create some post trip plans! My buddy Cat booked onto the ThaIntro trip when she headed to Thailand and South East Asia for the first time and once the trip finished she headed all the way down through Malaysia and Singapore with some of her tour group, success! You can also go all out and book a full blown group tour but I’m guessing if you’re worried about travelling solo that’s not really your style anyway! If you’re super nervous you could always book a group tour instead though! And if you’re looking for the best places to travel for the first time check out this post! They’re not quite tours but hop on, hop off bus passes are a great way of retaining flexibility in your travels whilst still easily meeting people. And if you don’t like anyone on your bus you can simply jump on the next one and meet a whole load of new people! Oh the joys of technology! Yup there are now heaps of apps where you can network with travellers, swop travel plans and get lots of helpful tips. Basically what I’m trying to get across here is that there are loads of ways to meet people when you travel solo. It’s not too difficult at all! Ok sure if you’re heading to the middle of Mongolia it might be a bit more challenging – but for a lot of the countries popular with first time travellers (Thailand, Indonesia, Australia, New Zealand etc) it’s pretty easy. You just have to be a bit pro active about it! The bottom line is that the chances of you staying solo for long are pretty slim – so try not to worry about it and concentrate on enjoying your time on the road and all the awesome experiences you’re planning on ticking off your bucket list! Any tips for meeting new buddies you want to share?